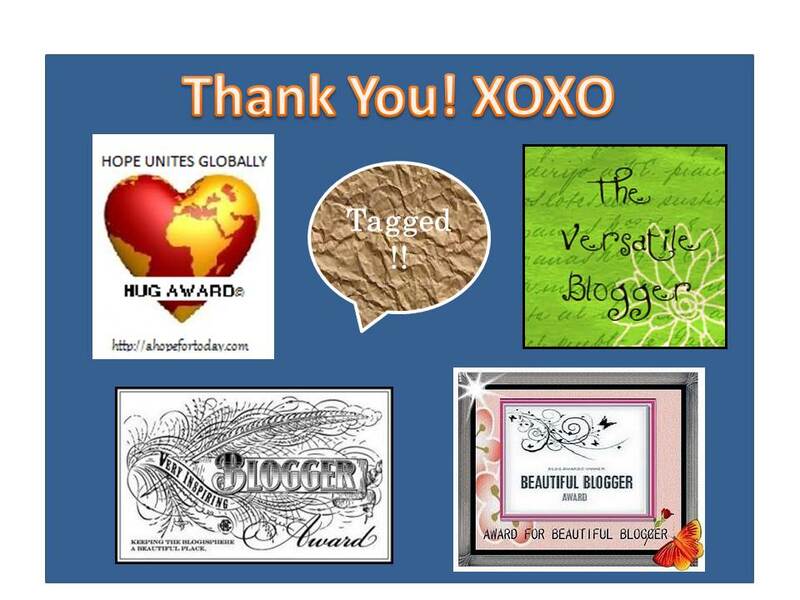 I’ve been tardy in thanking for the many awards my blog has been nominated for so far in 2013. As for many of you, life tends to interfere. But here it comes – a big THANK YOU for the kindness so many blogging friends have extended to me and my tiny blog! I’m afraid this is going to be a very long post…so I wanted to be transparent from the start, but please keep reading because you may learn about some very interesting blogs that you have yet to discover. I’m very honored to receive the prestigious HUG Award© from my friend and a beautiful human being, Tazein at http://transcendingbordersblog.wordpress.com/. Please go check out her inspiring blog where she nurtures hope in all its shapes and forms. Thank you Tazein! The HUG Award© was initiated by Connie Wayne at http://ahopefortoday.com, which promotes hope, love, peace, equality, and unity for all people. The HUG Award© is for people with an expectant desire for the world, for which they: Hope for Love; Hope for Freedom; Hope for Peace; Hope for Equality; Hope for Unity; Hope for Joy and Happiness; Hope for Compassion and Mercy; Hope for Faith; Hope for Wholeness and Wellness; Hope for Prosperity; Hope for Ecological Preservation; Hope for Oneness. The HUG Award© recognizes and honors those who help keep hope alive in our current world, which is plagued by war, natural disasters, and economic recession. They nurture hope, in any of the above areas (in italics), by the work they do, or in their personal lives with things such as blogging, public speaking, charity work, etc. You can find the guidelines for this special award at http://ahopefortoday.com/2012/01/14/hope-unites-globally-hug-award-guidelines/. These guidelines are more about eligibility, and nominating at least one other person – blogger or not – for the award, than about talking more about me. I like that. 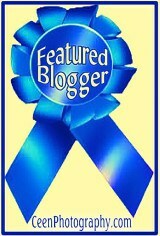 I would like to nominate six truly deserving bloggers for this special award. Three of them are educators. They all nurture hope in the young generation in their chosen vocation, and for everyone on their blogs. These blogs are quite different, but all of them are truly worth your visit! The three other nominees are “advisors”. They nurture hope in the true sense of this award through the insights and wise, actionable advice they provide on their blogs – and in “real life”. If you are not already familiar with their blogs, please make sure to check them out! Many hugs, thanks for spreading HOPE, and congratulations to the recipients of this award! Please feel free to accept or to do nothing at all if you don’t have the time to respond or have decided not to accept awards. In addition, my blog has been kindly nominated for the Versatile Blogger Award by Akanksha at http://akanksharastogi.wordpress.com – Sharing Thoughts and Insights. Please pay a visit to this interesting blog as well. Thank you so much Akanksha! My friend Cyndi at http://healthyazblog.wordpress.com/ nominated me early in the year for a Very Inspiring Blogger Award and in late February for a Beautiful Blogger Award. What an honor, I am very thankful Cyndi! Finally in late February I was tagged by Carolyn at http://abcofspiritalk.wordpress.com/. 1. Post these rules. 2. Post a photo of yourself and eleven random facts about you. 3. Answer the questions given to you in the tagger’s post. 4. Create eleven new questions and tag new people to answer them.5. Go to their blog/twitter and let them know they have been tagged. In the hope that at least a few visitors would read this entire post, I figured that by following these rules, I would also “comply” to a certain degree with the rules of the three other awards which all call for 7 facts about me and nomination of 15 others to receive these awards. So here is a picture of me when I was about 17 years old. I still remember this HS senior year trip and how salty the sea water tasted when I brushed my teeth. So here are 11 random facts about me – you can jump over this portion. Tiny is 5’7″; likes cooking low GI pasta dishes; wants to continue to grow as a person; sponsors kids in poor countries, loves the freedom of current consulting work; is an extrovert ENFP; is curious about people and cultures; likes singing & playing but doesn’t get to it very often; hates dishonesty and manipulation; has had many “downs” but more “ups” in life (or that’s how she remembers things); and has a hotline to her Creator. 1. If life was ‘just a bowl of cherries’… which fruit would you rather be..? I’d be a strawberry, love the red color. 3. Snow or Beach? Beach…I left the snow behind 2 years ago, but still do excursions to beautiful snowy landscapes. 4. Did you have a favourite toy when growing up? Did it have a name? Did you take it with you everywhere you went? No, not really. I had very few toys as a child. I liked to play “real life” with whatever was available….but I remember a little bird on wheels that I got when I was about 3 years old. And I remember two dolls. One was too nice and expensive to really play with, and the other was a knitted rag doll. 5. What are your favourite things to do on weekends? They are many, starting from some pampering like pedicures, meeting friends for great conversations over a good meal at home or out, small excursions, a good concert or movie, and connecting on the phone or Skype with family members in faraway lands. 6. Did you have a hobby when you were a kid? I sang and played guitar and I had pen pals all over the world. 7. Are you a sporty type, or more the studious type? Maybe you are both…! Definitely more of the studious type, but try to balance with walks, swims and gym visits. 8. If you were in a raft in the middle of the ocean, who would you like for company? Probably my son. He’s fun, would figure out how we’d get outta there, has big biceps for paddling with a piece of drift wood, and I can trust him – he wouldn’t dump me to the sharks. 10. Is life what you expected as a child? No and yes. No because I had expected to be a medical doctor, but the first part of that did not materialize because my mom’s untimely death of cancer at 39. This was just when I was starting college and the experience made me re-evaluate my choice. But yes in the sense that I feel I’ve been able to improve the lives of some people and as a bonus I’ve seen much of the world. My life has even been fuller than I could ever image as a child. And I’m very grateful for that. 11. Do you have a pet? Yes, I have a little poodle. He is very loving and sweet, a rescue dog. He’s getting old now (about 91 years in people time) and has become completely blind – he’s still the best companion ever! 1. Are you shy or outgoing? Please elaborate. 2. Is your glass half full or half empty most of the time? 3. Which do you enjoy most, city or country side? 4. What’s your most foolish or unnecessary purchase ever? 6. What kind of music do you listen to most? 7. What makes you frustrated, if anything? 8. What are you most grateful for just now? 9. What place in the world would you like to see (for the first time or again) and why? 10. What does faith mean to you? 11. Why do you blog? What motivates you? 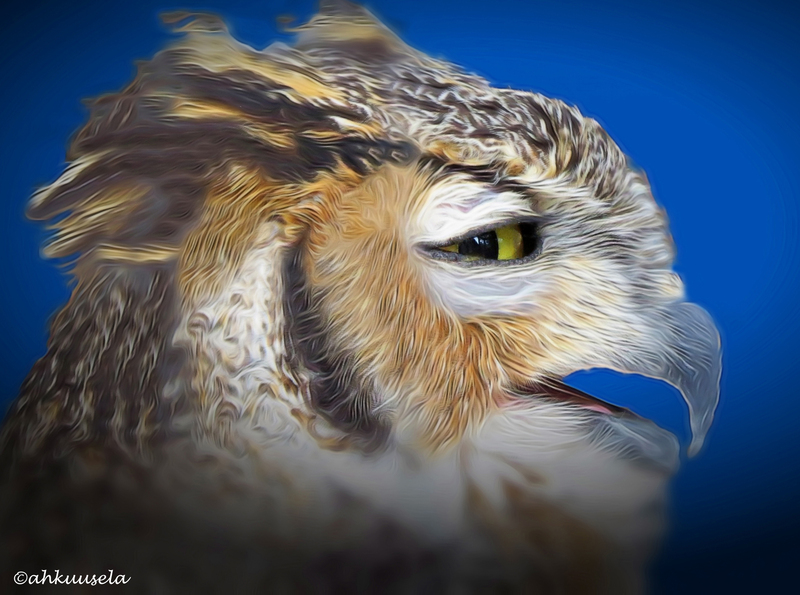 To comply with all the award rules, I should nominate or tag over 50 blogs…but I will limit it to 20 – selected among the many wonderful blogs I enjoy/follow and have not yet mentioned in this post. I hope you find some new ones among them. Congratulations to all nominees! Please feel free to select to be tagged, to receive/accept one of the three Awards (Versatile Blogger, Beautiful Blogger, Very Inspiring Blogger), or to do nothing at all if you don’t have the time to respond or have decided not to accept awards. Thanks & you are welcome! Always looking forward to reading your posts! Congratulations for your five well-deserved awards. And I always enjoy visiting the blogs of your nominators and nominees. I’ll be coming back later in the week for just that pleasure. Thank you for your very kind words, Tiny, and for your nomination of Healthy A-Z for the Hug award! Thanks and congratulations to you too! I can see the “image” of the two of us competing…but I’d need to start a 100 times more efficient and grueling gym routine 🙂 and I think that’s not going to happen any time soon. Thanks and you’re welcome/I’ll hope you’ll find some new friends/hiding in the links. Thanks & you’re welcome Alex! Congratulations! And thanks for nominating me, much appreciated. Your poodle is so cute. 🙂 I love the way you have his hair cut on his head, adorable! Gongratulations to you & thanks Genie! I am looking forward to checking out some of the blogs you listed with which I am not familiar! Your little rescue companion looks so sweet — although I do believe they rescue us most of the time. Did you keep in touch with any of your international pen pals into adulthood? I remember when those pen pal booklets used to make the rounds, and I wrote to a boy in China for awhile, a girl in South Africa, several pen friends throughout the U.S. — makes me nostalgic for the good ol’ snail mail mode of communication thinking back on it! Congrats on all your well-deserved honors and thank you! Hi Kat! It’s true that the rescue dogs rescue us instead, most of the time. Bumble has certainly played that role for us, and still does. About pen pals, I’ll tell you something funny. I lost contact with most of them, girls and boys, but one guy from the US came to look for me (as a surprise!) at my childhood home in Northern Europe when I had already moved out, had met my hubby and lived in another country. Much later, as the fate would have it, me and my family moved to the US and the internet was invented, so one day I remembered that story…and I found him. I have selected not to contact him, but maybe I’ll do that when we both are 80+. We might take a stroll in the Cenral Park with our walkers and talk about the good ol’ times when we actually received letters from each other 🙂 It’s true that the gradual disappearance of snail mail makes one nostalgic! Tiny, I LOVE that photo of you by the sea holding a toothbrush!! You look so beautiful. I especially enjoyed learning that you have a “hotline to your Creator.” I think I need to be dialing in more! In any case, I wanted to thank for the gracious nod to my blog. Sorry for picking up the award late. I recently discovered that I was pregnant so I’ve been battling a severe case of morning sickness. Ugh! Congrats on all of your awards. Truely deserved!!! Kuddos to YOU! The picture of 17-year-old you reminds me of a picture I posted when I was about the same age (many years ago). Thanks for the award! That was really nice. Hi Nancy! You are welcome. Your picture was very nice!! Thank you for nominating me. I very much appreciate it 🙂 and your poodle is so cute. Congratulations on your awards Tiny! I can’t think of anyone more deserving. You inspire and amaze me with your words and images. I am so fortunate that you were the first blog I ever read on WordPress. You drew me into this community. Best wishes to you and sincere thanks for nominating me for the HUG award. You are welcome! Thanks for your kind words. You are truly deserving of the HUG Award because you have helped so many kids to have more hope on their path through life.